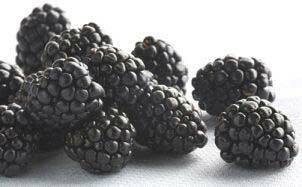 Indulge in the relishing assortment of Fresh Blackberries offered by us. We are the famed Manufacturer, Supplier and Exporter of the Fresh Blackberries in India and overseas. Known for scrumptious taste and many beneficial properties, our range is fastidiously examined to ensure the absence of blemished or rotten blackberries. For unscathed delivery, we resort to the foolproof packaging and shipping mechanism. Trust us for fair pricing!